This example illustrates how the Financial Instruments Toolbox™ is used to price European vanilla call options using different equity models. The example compares call option prices using the Cox-Ross-Rubinstein model, the Leisen-Reimer model and the Black-Scholes closed formula. 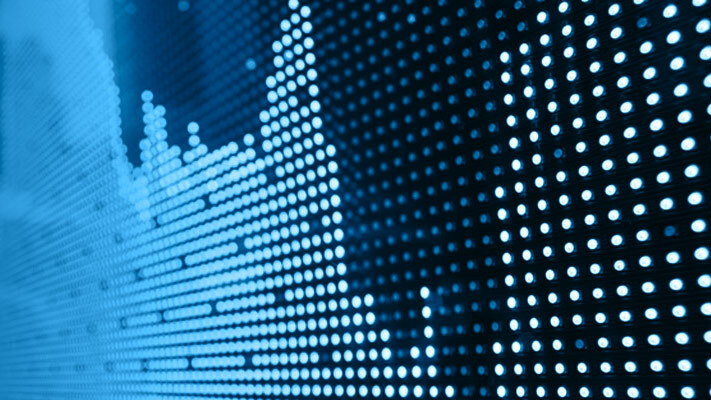 Consider a European call option, with an exercise price of $30 on January 1, 2010. The option expires on Sep 1, 2010. Assume that the underlying stock provides no dividends. The stock is trading at $25 and has a volatility of 35% per annum. The annualized continuously compounded risk-free rate is 1.11% per annum. Suppose we want to create two scenarios. The first one assumes that AssetPrice is currently $25, the option is out of the money (OTM). The second scenario assumes that the option is at the money (ATM), and therefore AssetPriceATM = 30. Use the function optstockbybls in the Financial Instruments Toolbox to compute the price of the European call options. The following tables compare call option prices using the CRR and LR models against the results obtained with the Black-Scholes formula. 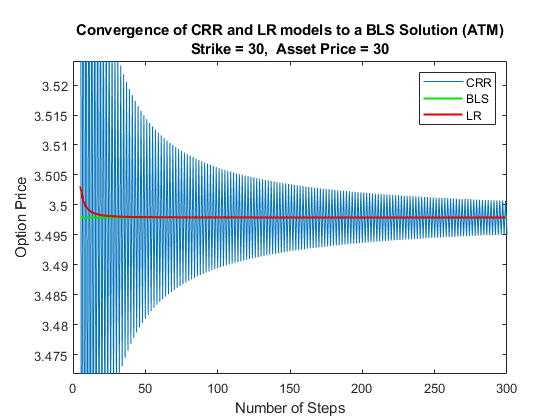 While the CRR binomial model and the Black-Scholes model converge as the number of time steps gets large and the length of each step gets small, this convergence, except for at the money options, is anything but smooth or uniform. The tables below show that the Leisen-Reimer model reduces the size of the error with even as few steps of 45. The following graphs show how convergence changes as the number of steps in the binomial calculation increases, as well as, the impact on convergence to changes to the stock price. 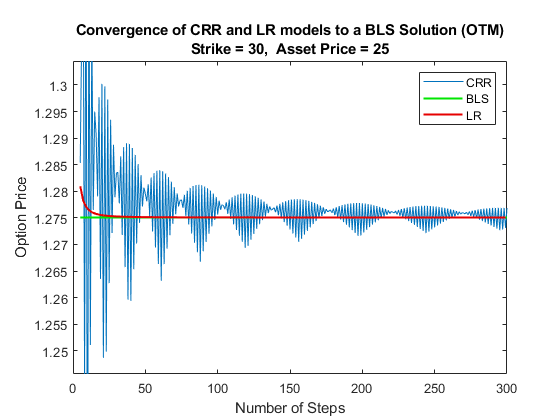 Observe that the Leisen-Reimer model removes the oscillation and produces estimates close to the Black-Scholes model using only a small number of steps.